Essentially we can now embrace current technology with the extensive knowledge from previous natural healing traditions for todays healthcare. This combination of knowledge and new science and technology are able to start bridging the gaps we have had in our healthcare and equip us more individually to best understanding our individual health issues. Using the right personal factors for people to get well is the only way forward to truly gain personal, long-lasting healing. As numerous factors impede us in feeling healthy and prevent us from moving forward into more fulfilling health and wellbeing. Using personalized health consultation work and technological scanning software and solutions we can look into nutritional short falls and systematic problems for each person. We can better understand environmental factors too and their effect on each individual alongside getting a clearer perspective on our emotional stressors, this is all through the skilled use of the NES Technology and practitioner care. This is Holistic Healthcare, bridging both care, skill, longstanding clinical practice and new technologies. We all have our need for health and wellbeing. Everyone holds negative imprinting in there system, many have pain and discomfort physically from their symptoms. We aim to relieve all of this as soon as we can to help you see improvements straight away. Healing can work from the outer in or the inner outwards however best suit the individual but we can employ all the right things to ensure both can happen at a gentle pace and a tangible pace. Problems will present themselves and get worse too if we do not look at them and gently work to resolve them. if we are not taking care of a situation in our life or our lifestyle is simply not right for us. We all can end up developing dis-cord or disease at any time in our life but healing is always possible with the right understanding and support. Here at A-Z HEALTH we want to offer you this help at affordable prices and in a warm, relaxed and confidential environment. Remedies are available from A-Z Health by NES Health to support the Health scan findings and MI Health body work. We can visually compare and track the improvements in each organ, system or aspect of health as we go. These session are ideally once a month but can be longer in duration and there is never any pressure to anything other than move at your own pace through your health. A-Z Health is here to assist you and shed light onto areas that you will most likely feel stuck on. "I have cleared my Tiredness, Eczema, Bloating and understand my gut and nutrition a whole lot more now through the help and insights gained with Claire at A-Z Health, The Colonics were fantastic and so much more relaxed than I thought." Annie. These therapies and their related health matters require specialist experience. The comprehensive advice, treatments and supportive products that A to Z Health offer are all part of successful health, wellbeing and preventative medicine. We want each person to experience a greater sense of wellness and feel able to maintain this long into the future. A to Z Health provides consultations, treatments and resources for all kinds of Digestive and Nutritional Health matters, alongside Sports and Therapeutic Massage.There is much need for support in these areas of healthcare and we are seeing a growing demand for natural healthcare approaches.A to Z Health aims to provide you with the best understanding, support and treatments in these areas. Colonic Irrigation, Nutritional Healthcare, Therapeutic Sports, Deep Tissue & Remdial Massage, are completely tailored to your individual needs, and varying in treatment time. Also available is ‘Onsite’ Massage treatments, these can be arranged via contacting the clinic.There are also 'Retreat' sessions for individuals, friends or families at the clinic. At A to Z Health our clients range from all ages, and from individuals to small groups, local businesses and large organisations. The practice sees people from all around Portsmouth the Isle of Wight, Gosport, Southampton, Winchester, Waterlooville, Clanfield, Buriton, Petersfield, Chichester and often further afield. Client’s report consistently after treatments: “they feel much more positive...” within their first visits at A to Z Health they have "genuine answers and solutions that they know they can work with", “with greater understand and insights more able to take the right action”. After just a few weeks clients explain “they are far more equipped at maintaining all the important aspects of their health” and "...have a better sense of wellbeing". The deep tissue massage has often been described as "...the best I have ever had" whilst the nutritional advice described as absolutely invaluable. A to Z of Health for Your Wellbeing. There are all kinds of health problems people encounter in their daily lives, problems you could list from A through to Z. Whilst there are many helpful treatments available, how do people know where to make a start? Well at A to Z Health we aim to provide you with impartial advice and professional care at all times. Whether you have questions about improving your health or want to know more about complementary therapies like Colonic Irrigation then A to Z Health has the answers. We offer specialist Nutritional Therapy and Digestive Healthcare advice to ensure you receive the best care and right attention throughout. New Client’s report “they feel much more positive” within their first visits to A to Z Health and with the genuine answers and solutions provided, “more able to take the right action”. After just a few weeks clients explain “they are far more equipped at maintaining all aspects of their health and wellbeing”.The deep tissue massage has often been described as "...the best I have ever had" whilst the nutritional advice described as absolutely invaluable. If you are experiencing any kind of digestive problems, such as difficulty with bloating and digestion, chronic constipation, persistent and distressing abdominal discomforts, suspect Candida or food intolerances, or just know you would benefit in seeing a Nutritional or Colon Hydrotherapist Therapist then we can help. The comprehensive support at A to Z Health is primarily provided by Claire Harris, a qualified Nutritionist and Holistic Healthcare Practitioner, who integrates all aspects of Digestive and Nutritional Health. Claire is Qualified in Colon Hydrotherapy, Nutritional Therapy, Therapeutic Massage and works, closely alongside other skilled therapists, to provide personalised advice and guidance dependent upon clients needs. Feeling good on a daily basis is about feeling healthy on both the inside and outside. We should all make time to give the body physical care and attention from time to time. Holistic Massage is without doubt one of the easiest ways to give the body something positive and physically supportive. Deep Tissue Massage helps counteract the build up of daily stressors, relieving long or short-term muscular knots and tension. If you are looking for any kind of therapeutic or rehabilitative Massage then please contact A to Z Health. The clinic has a great team of experts providing treatments, including referral for Sports injury. No matter what your problem is we will be able to help you with an ‘A to Z’ of knowledge, treatments and referrals. Finding YOUR Body Connection, this is unique and not to be found in any book. What really suits you diet wise, lifestyle wise... it is a hard process sometimes to understand because we are all so different. There are common principles that we can apply to many conditions but it is still a very individual process the path to wellness and the ways for YOU to feel at your best. Digestive complaints, Immune based and inflammatory disorders are often recurrent issue for people. Such as infections that require regular antibiotics, skin problems including Eczema, Psoriasis, Acne, or managing difficult to treat 'inflammatory diseases' like Arthritis, Cohron's and Diabetes. Whether prescription medications provide relief, help with the right diet and a supportive lifestyle is also essential. Because we know any health problem can seem overwhelming and frustrating at times at A to Z Health we aim to help you through these periods with a range of helpful treatments and professional advice. At A to Z Health every client is treated holistically to help alleviate uncomfortable symptoms. Clients are provided with an expert range of body support therapies and techniques to help improve long-term health, with top tips, professional advice for 'optimum health' and personalised nutrition. With our care and guidance you can begin to feel better, more confident and completely able to look after your own health on a daily basis. After a few visits clients often report feeling “...so much better” and go on to successfully manage their own health, calling upon A to Z Health as and when they feel the need. Because we specialise in Colonic Irrigation / Colon Hydrotherapy, Nutritional Therapy and Remedial Massage. A to Z Health clients generally come from within and around the , the Chichester to Southampton commuter belt area. 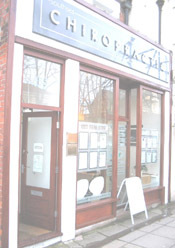 The main practice is situated at Southsea Chiropractic Clinic in Southsea, Portsmouth. A to Z Health integrates Nutritional Health, Massage and Colonic Irrigation in both Portsmouth and Waterlooville Clinics. Our Therapeutic Massage, extremely popular at Southsea Chiropractic Clinic, is also offered 'Onsite' to support Businesses and Organisations in and around Portsmouth, Gosport, Southampton and Winchester. Whilst our consultation related Nutritional Therapy extends to Chichester and Petersfield, where we work with all age groups and health concerns. A to Z Health cares about individual needs and we hope our complementary therapies will support health and fitness for any individual. In helping people feel better A to Z Health want to support local GP’s, Dental Surgeries and local or national Health Initiatives. Please see our contacts page for more details and map. PARAGRAPH 2. We deliver natural healthcare through the professional practice of Nutritional Health, Colon HydrOtherapy / Colonic Irrigation and Massage Therapies - these are specialist areas that can be effective as stand alone or as complementary treatments.